Imagine for a moment that you’re no bigger than Thumbelina. You’ve been away for a while, and when you return your garden is overgrown. Nature’s been kind this year. 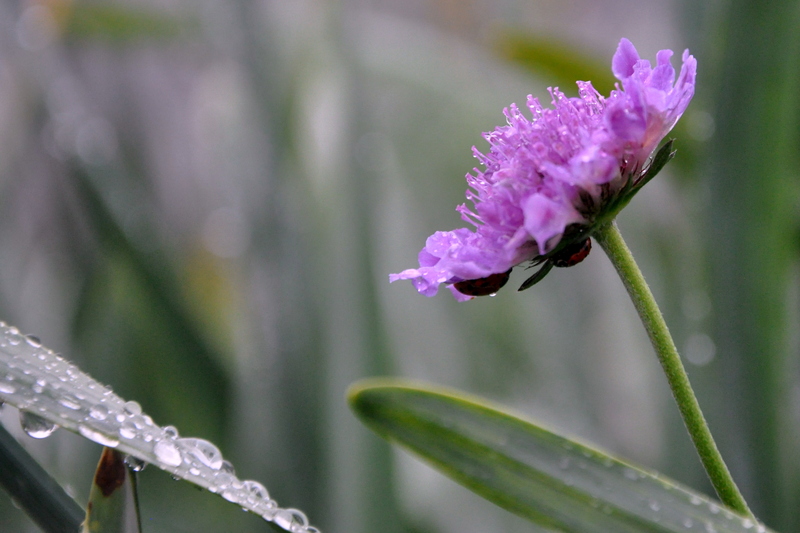 The longed-for rain finally fell and the earth smiled. Precious seeds pushed up through the dampened soil, welcomed by the warming sun. They grew healthy and strong. Encouraged by continued rains, seedlings turned into plants. Starter leaves became true leaves and from there they spread. Tiny greens stretched out across the land, filling the once-vacant landscape. The fairy house still stands, but the garden surrounding it looks more like a forest. The giant gardener who presides over the land retreated for quiet contemplation. 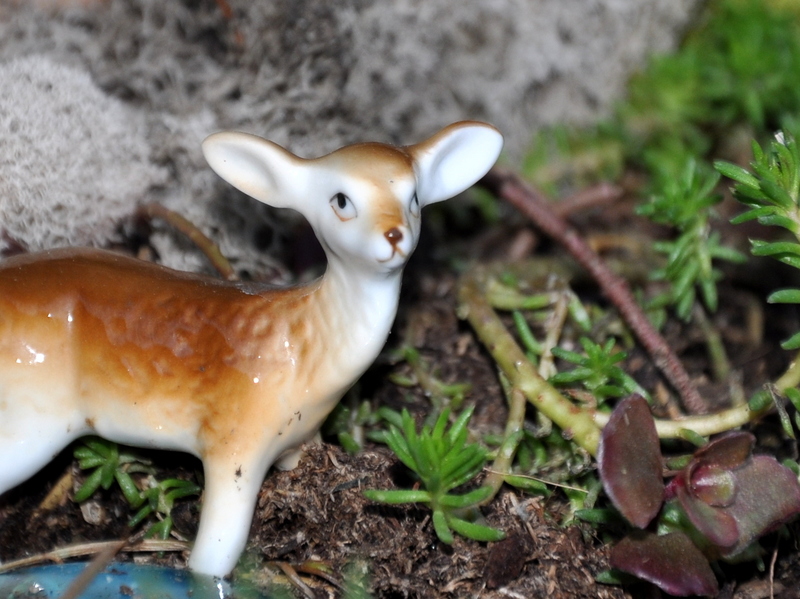 The land heretofore known as the fairy garden will be given over to the trees and any tiny deer passing by. The giant gardener waved her magic spade and a lake-side, fairy-sized, mossy, watery retreat appeared. Verdant moss to tickle the toes blankets the earth. 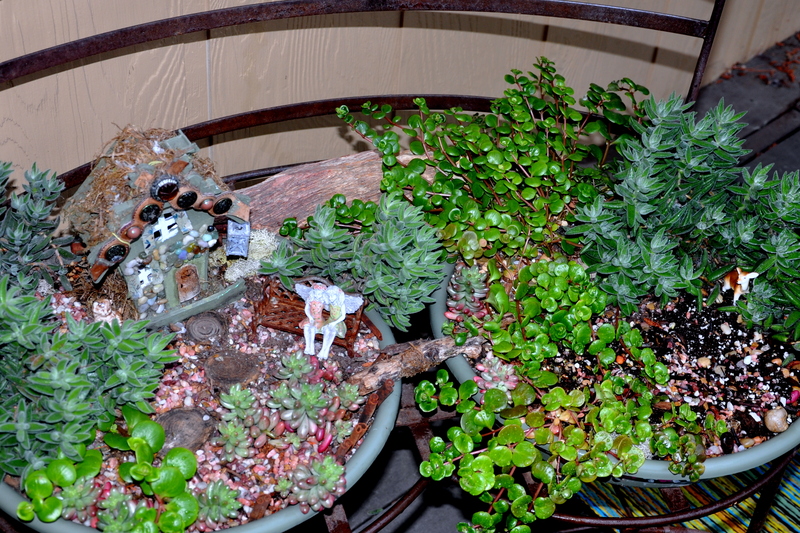 Tiny succulents line the edges for privacy and a break from the wind. A small chair for reading nestles in the greens, and a hammock is at the ready nearby. 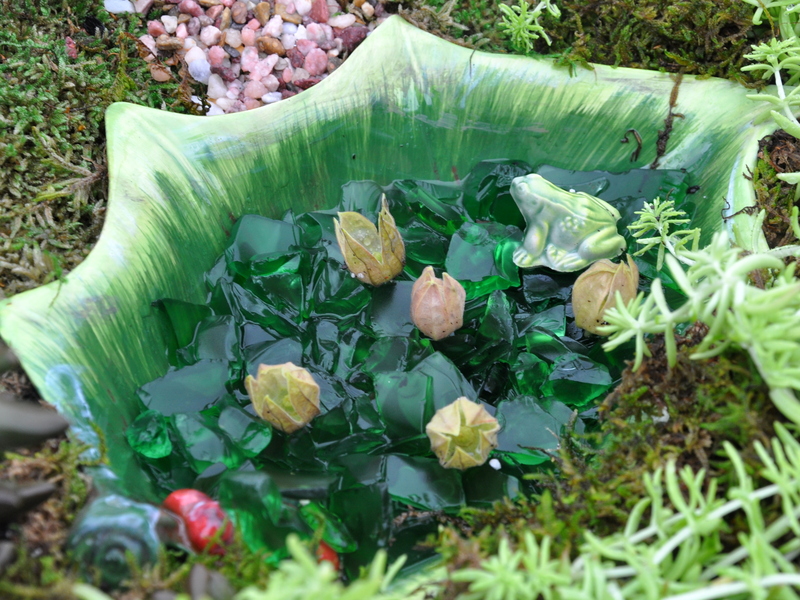 Fairies can cool off in an improvised lake, a ceramic bowl rescued from a nearby thrift shop. 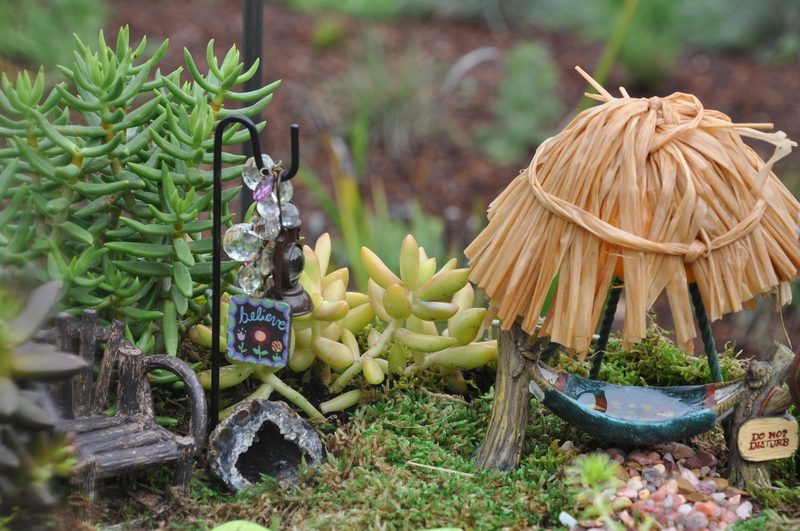 All our welcome in the wee-sized, lake-side fairy garden retreat. A straw umbrella, made from the shell of an orange and a few strips of raffia give shelter from the hot sun. There is, however, a small price of admission: one must possess a child-like imagination and the ability to leave one’s worries at the foot of the tiny ladder below. 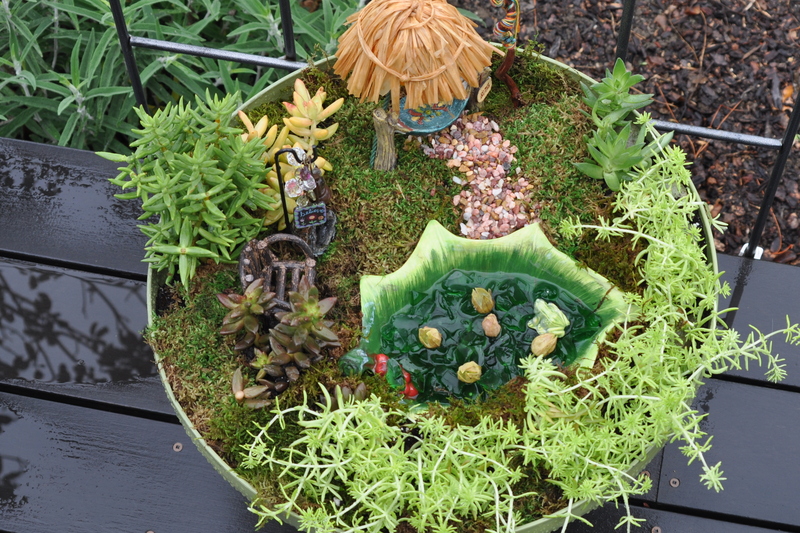 This entry was posted in Fairy Garden and tagged ceramic fairy garden dear, ceramic frog, ceramic lake, fairy garden, fairy garden at the lake, fairy garden retreat, rainy weather, Thumbelina. Bookmark the permalink. Good morning, Pauline! Thank you. I hope you have a lovely autumn day in your near future after your coffee and a walk with Siddy. I’m getting my haircut in about an hour and can’t wait. Nothing too drastic, but I’m hoping to lose several inches off the bottom layer to lighten the load for summer. It’s so nice to find your comment. Wow….. I adore every single detail! It would be wonderful to have you visit for a wade in the pond. You are such a poet! 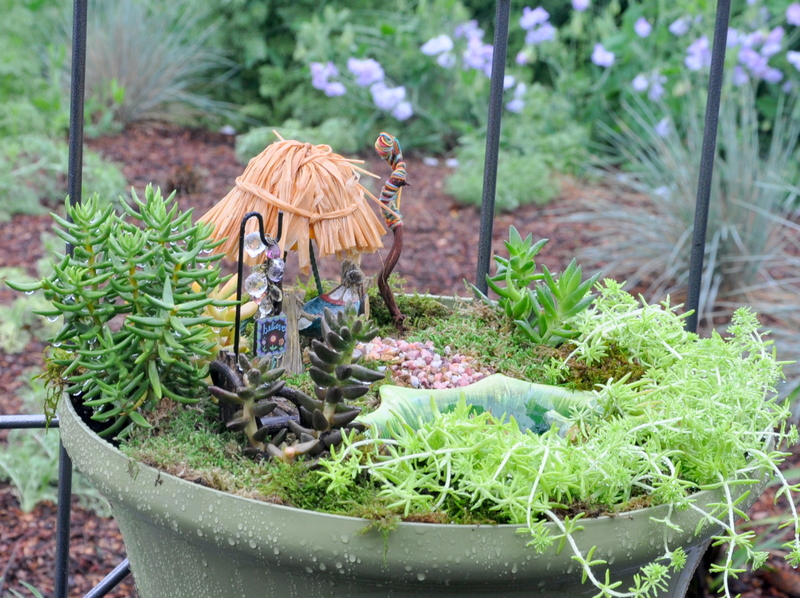 What a gorgeous fairy garden. I am so happy that you are all damp and misty eyed over there!! (((You))) I adore you. And this comment, read thrice through, still has me smiling. xo Edmonton is in countdown mode. These are really magical little scenes, Alys–I can imagine slipping into them as to a world. It’s good to keep that imagination and magic in our lives. Lisa, I agree. Imagination keeps us young at heart, even when the ‘ole body starts to turn on us. Thank you, Sheila. It’s fun letting your imagination wander and relaxing, too. How touching – I can feel the joy of dampness from the other side of the world! I love the visual of the giant gardener waving her magic spade, and that ladder is wonderful. 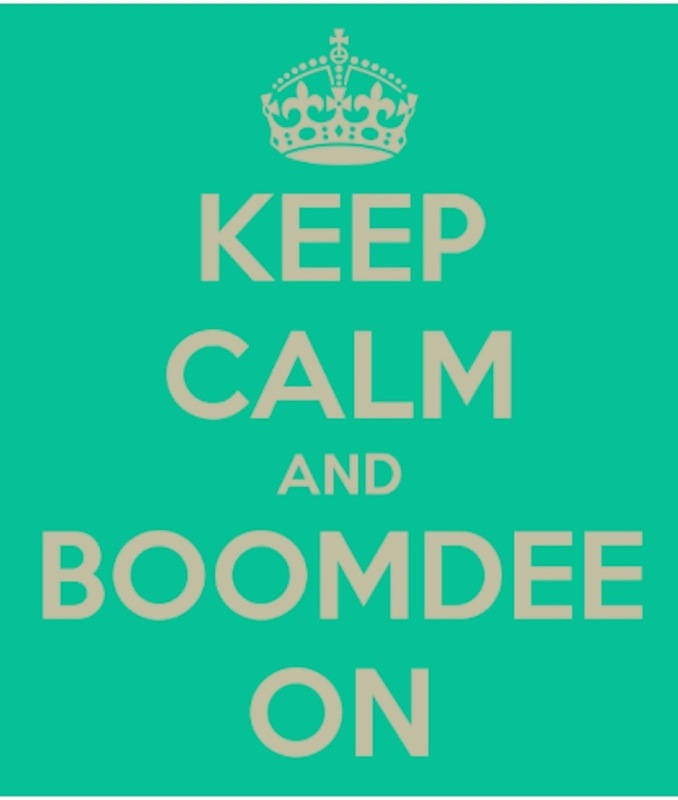 Hope you’ve enjoyed your weekend! Thank you, Laurie. This happens to me all the time. I write a comment and forget to hit send, or think that I did and did not OR I “write” a comment in my head and don’t actually follow through with the keyboard. Ha! The gremlins are playing with me again and hiding things from me including your post. I’m not sure what that’s about but glad I found this. 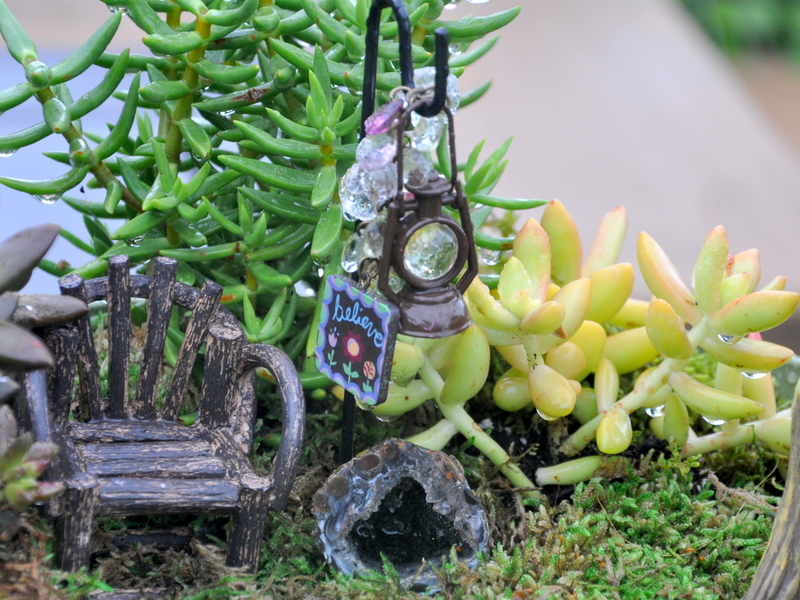 Your fairy garden looks so fresh and fun. 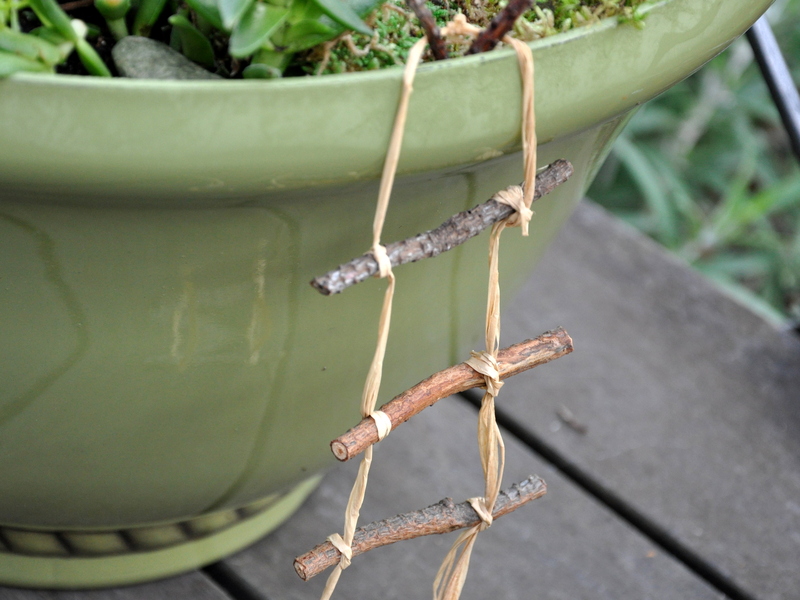 Leaving your troubles at the bottom of the ladder is a great idea. Love the moss floor.